Some people don’t feel fully alive until they have their morning coffee or tea. 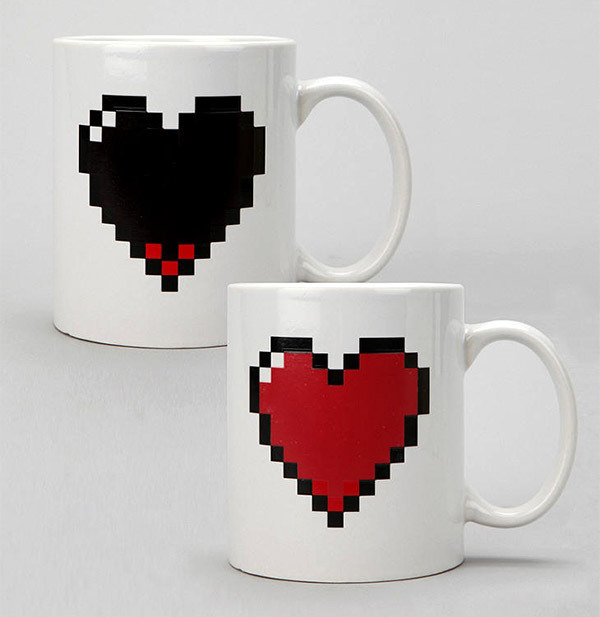 With this Pixel Heart mug, you can make sure the whole world knows that. The heart fills up red once you pour a hot liquid in the mug, proving that you’re ready for any boss battles or early morning meetings that may come your way. Pixel Heart Morph Mug, $14 at Urban Outfitters.